This project will create a space for gender-based violence (GBV) actors responding to the humanitarian crisis in the Great Lakes region to pool their existing knowledge on what works, and does not work, in measuring change achieved by GBV programming. Gender-based violence (GBV) is exacerbated in displaced populations affected by conflict. International Rescue Committee (IRC) and its partners aim to address this humanitarian need and measure the results of its GBV programming, however, significant challenges remain. This project will bring together frontline GBV and health practitioners from IRC and local partners working at community and national levels, who remain disconnected across borders and by language. Each team works with similar populations of Congolese and Burundian displaced women and girls who have experienced a complex range of GBV; including sexual violence, forced and child marriage, intimate partner violence, discrimination and denial of opportunities. This project will address the geographic and linguistic barriers currently standing in the way of innovative collaboration between frontline GBV actors through creating space for reflection and learning and bringing Women’s Protection and Empowerment (WPE), health specialists, and M&E experts together with local GBV partners working with similar populations in different locations. They’ll be able to pool existing knowledge on what works, and does not work, in measuring change achieved by GBV programming and to identify key challenges that hinder effective measurement and use of data to improve programming. The workshop will define a set of problem statements and use root cause analysis to identify underlying issues to address. The workshop and learning spaces will be deliberately bilingual to allow French-speaking teams in Burundi and the DRC and English-speaking teams in Tanzania to conduct sound problem analysis, identify root causes of challenges faced and explore possible innovative approaches to measure GBV programming results. The IRC M&E, Health and WPE Technical Advisors will lead a regional learning process which brings together grassroots responders from local partner and IRC teams, with national and regional coordinators and advisors both in person and in an online community of practice. The M&E knowledge from across IRC Tanzania’s, DRC’s and Burundi’s WPE and local GBV partner teams will be pooled during a bilingual joint workshop and an ongoing practitioner-centred learning journey. These outputs will be collected in a bilingual ‘Lessons Learned and Opportunities’ document which will be shared at the national, regional and global level. 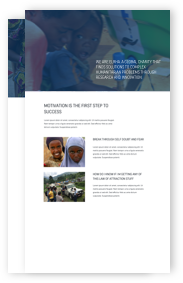 This document will capture the Lessons Learned which are generated when teams from different contexts, working with similar populations of Burundian and Congolese women and girls, connect to exchange knowledge and identify potential opportunities for innovation on how to more effectively measure change in the lives of women and girls who experience GBV in crisis settings. Banner photo: Participants in an IRC Women’s Protection and Empowerment Programme in Bukavu, DRC. Credit: Peter Biro/IRC. Oxfam in Nepal is reviewing how GBV programmes in earthquake recovery are measured and identifying opportunities for innovation in impact measurement of such programmes.